From time to time, someone in Congress asks that the Constitution to be changed so that Presidents could be elected to more than two terms, thus repealing the 22nd Amendment. This is recently exemplified by Congressman Jose Serrano (D-NY) who did the very thing early in January. He actually has good experience in calling for such a proposal. What about calling for term limits on members of Congress? As of today, nine Congressmen have been in office for over 36 years. 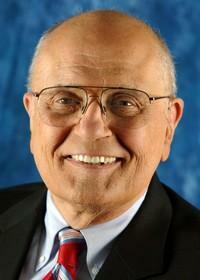 Congressman John Dingell (D-MI) (pictured) has been in office for over 57 years. Two Senators have been in office for over 36 years as well. Congressmen and Senators can serve in office for unlimited elected terms. Congressmen serve two year terms, while Senators serve six year terms. As for Congressman Serrano? He has been in office since 1993. The overnight preliminary ratings are in for the Sunday, January 27th episode of 60 Minutes. That’s the episode where Steve Kroft interviewed both President Barack Obama and outgoing Secretary of State Hillary Clinton. About 11.5 million people tuned in. Some added perspective should be noted in regards to Sunday’s pre-recorded interview. When 60 Minutes was the #1 ranked show on television from 1979-1980, it averaged 28.5 viewers a week. The difference between 28 million and a little over 11 million viewers is quite substantial. Furthermore, the Obama/Clinton Sunday interview beat out the NFL Pro Bowl, an all-star game that has little significance, in the 6pmCST hour by roughly half-million viewers. What do you attribute the drop off in television viewers from 1980 to today? 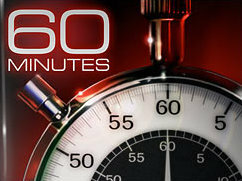 Did you watch the 60 Minutes interview? If so, what did you think of it? The invisible primary is the period when an individual files FEC (Federal Election Commission) paperwork to run for President and when the first voting primary takes place. The earlier a candidate announces his/her candidacy, then the potential to raise a significant sum of money becomes greater. The invisible primary is also a period where potential candidates gauge their level of popular support by not only how much money they raise but also by how many people can recognize their names. The new year has just started, but already potential candidates for President have been mentioned in the press and in public on several occasions. Among those being named are Vice-President Joe Biden (D), former Secretary of State Hillary Clinton (D), and US Senator Marco Rubio (R-FL). All are recognizable and have the ability to raise money. No one has announced this early in the game, but would you be surprised if someone did? What are your thoughts? When is it too early to announce yourself as a candidate for President? On the other hand, when is it too late?